Song of the day: Motel Beds – "Smoke Your Homework"
A couple of weeks ago I reviewed Dumb Gold, the latest album by US band Motel Beds. Well, a week later (i.e., a week ago) the band sent me another email (that I forgot about, which is why you’re reading this now and not one week ago – oops). Download for free, or grab the disc. Thanks all! Dumb Gold out Nov 13th! Song of the day: Motel Beds – "Valentimes"
Er, just over a week ago US band Motel Beds let me know they’d recorded a new song called “Dumb Gold”. I duly played it on 31 October (or “October 31” if you’re American and insist), and thought that was that. I didn’t think I’d hear from them for quite a while as they spent the next x amount of months presumably slaving over their next album. Nope. The Beds emailed again just a few days later saying they’d made a new album. It’s called Dumb Gold (I guess they like that title), and the chaps (Hi, chaps!) asked if I’d give it a bit of a review. As I always say to myself at times like these: “I’m game”. So they sent me the album to have a listen. And listen I did. I’m not liking this as much as the previous song, but I’m still liking it a lot. Reviewing this album is easy. Yep. I’m still liking these songs. One quick observation: I’m not a huge fan of singers sounding like their voices are coming out of a megaphone. As far as I can tell, that thing started in rock music with Julian Casablancas in The Strokes. (Example.) Unfortunately, when The Strokes became the rock band du jour, it seemed that it was a statutory requirement for singers to sound slightly distant and distorted. I found it annoying that producers decided to jump on that particular bandwagon, as it does a singer no favours. It’s the “low-key song in the middle of the album” song. And I like it. This one reminds me of Fountains Of Wayne when they do their low-key thing. I’m not entirely sure why someone decided to use jingle bells in this song (1:06-1:44). 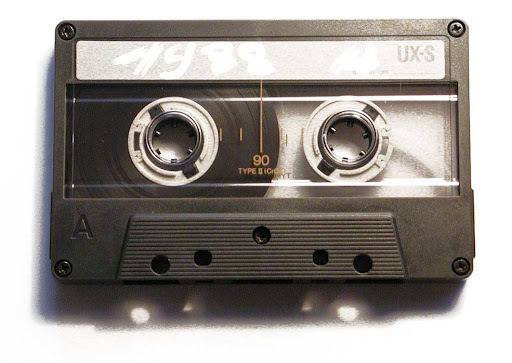 Maybe they were lying around in the studio, and someone played with them, resulting in a “Hey guys, these sound great! Let’s use ’em in a song!”. By the way, the tone of the singer’s voice throughout most of this song reminds me of Jellyfish’s Andy Sturmer. Well, this is a surprise. Although I’m finding “Dream Of Sleep” enjoyable, I’m not enjoying it as much as the previous five songs. I don’t think it’s a dud song or anything, but it’s not “connecting” with me in any particular way. Not even the boppy “ba-dap ba ba-dap, ba-dap ba ba-dap” vocals are helping. This is very odd. Hmm. Maybe I’ll enjoy it more the next time I hear it. That’s better. A Fifties-inspired ditty. I found this instantly likeable, despite the ill-advised bass guitar note (0:06, and then again at 0:17) and the megaphone nonsense on the vocals. Oh-oh. The bass plays that note again at 0:28. And 0:39. He keeps playing it. Grrr. When you (Hi, bass player!) play D# instead of F# in the third bar, it doesn’t fit because the rest of the band is still playing F#. It’d be fine if everyone else played D#m on top of your D#, but no-one is. They’re all still playing F#, and you’re the only one playing D#. At 0:47 we finally get to the chorus which I thought took way too long, but I think it’s a great chorus for the song. It’s very Fifties. I’m listening to the guitars on top of the bass at 1:26, and it sounds like the one in the left channel is playing a chord different to the one it played earlier when the bass was playing its pesky note. Sorry about taking so much time on something so trivial. I’ll stop messing about with this nonsense and just say I like this song. But I do want to sneak in this: I like the bit where the band chugs along, from 1:29-1:39. It’s probably my favourite part of the entire album. Now, saying that doesn’t mean I prefer hearing the Motel Beds without any vocals. I do like the vocals. Maybe not through a megaphone, but I do like them. I feel it my sworn duty to mention the dud note sung by one of the backing singers at 2:41. There’s no other way to put it: that is one flat note. I like the song though. I like this, despite the rudeness of the singer (“Seen around the place, thinkin’ about things like your big fat face”). I think the drums are very well recorded in this song. (They probably were in the other songs as well, but I didn’t notice.) And the guitars. And the bass. I can’t think of much else to say about this song but “I like it”. A low-key way to end the album, and it’s another song with hints of the Fifties. (It almost enters Crooner territory.) Although I appreciate the dissolute vibe of the song, I’m not especially keen on the (deliberately) lazy singing. The singin’ man takes a bit too much time easing into his notes for my liking. But all a matter of personal taste. Incidentally, the jingle bells came back. They’re in the song’s two middle eights (1:43-2:14 and then 3:07-3:38). Well, if you have jingle bells lying around the studio, you don’t want them to go to waste do you? Oh, and I like this song too. Unless I think of something else to type, that’ll probably it for my not-particularly-helpful review. Looking over it again, I see that the gist of the entire thing is that I like it. That about sums up the review. I like it. Thanks, chaps! 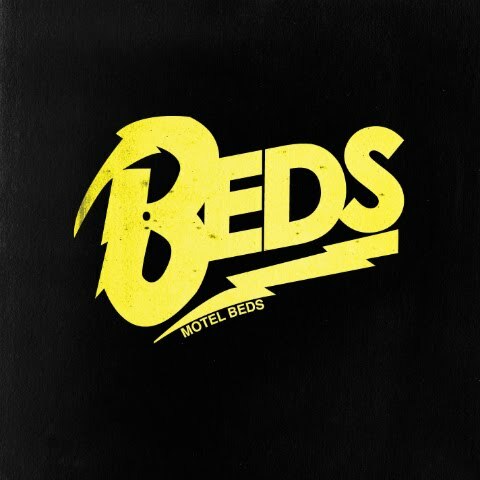 Song of the day: Motel Beds – "Dumb Gold"
I like the song’s combination of Fifties chord progressions and power-poppin’ poppiness. More please. 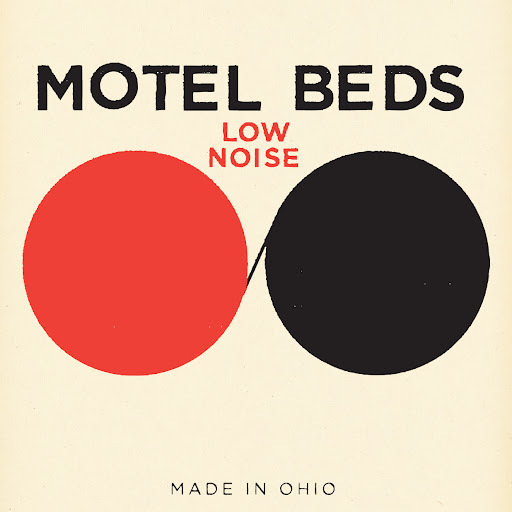 A band from the land of Americans by the name of Motel Beds emailed me to let me (and you) know that they’re about to release an album called Low Noise (the optimist in me thinks that “low noise” means “more melody”) and are more than willing to accept pre-orders for it. 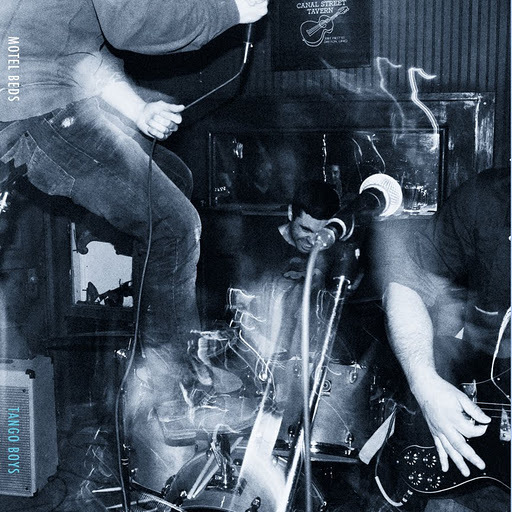 Song of the day: Motel Beds – "Hopeless"
Last week I posted a song by Motel Beds, a band I knew next to nothing about. Motel Beds is a rock band from Dayton, Ohio. The band is now pleased to announce the release of their second LP of the year, “Tango Boys,” on Chapel Hill, NC’s No More Fake Labels. The band was also warmly received at the 2011 CMJ Festival, and had its music hand-picked to appear on the 2011 CMJ Freeplay mixtape. Momentum continues to build with a track from “Tango Boys,” Tropics of the Sand (featuring vocals by Kelley Deal of The Breeders) already playing on Sirius XM Radio. In 2012, the band plans more touring, more recording and playing the No More Fake Labels showcase at the South by Southwest festival. Incidentally, their back catalogue (except for their latest album, Tango Boys) is available for free (yippee!) at Bandcamp. Song of the day: Motel Beds – "Rattle Rattle"
You are currently browsing the archives for the Motel Beds category.